Born on 17 February 1969 in Bucharest, Romania, he is the son of Mircea Lucescu, brilliant former player and an even more important coach. Răzvan Lucescu chose to follow on his father’s footsteps at a very young age and got into football. He chose the lonely path of goalkeeping. He was also an excellent student, listening from day one to his father’s advice. He got to play for Sportul Studențesc, AS Progresul Bucureşti, AS SR Brașov, FC Rapid București and FCM Bacău, lining up more than 200 appearances in Romania’s top flight league. He hung up his goalkeeping gloves at the age of 34 and immediately sought to find a new role in football. He attended coaching courses since 1999, but initially worked as technical director. Realizing that he missed pitch action, he decided to become a coach. After a season at AS SR Brașov, the administration of FC Rapid București offered him the reins of their squad. He remained there for three years, won the Romanian Cup twice and led his troops to a 3rd, 2nd and 4th place finish in the league respectively. In 2005-06, he reached the UEFA Cup quarter-finals despite his team’s poor start of the season, that brought him agonizingly close to an early dismissal. In the summer of 2007, after a fall-out with the club president, he left FC Rapid București. Despite having received quite a few offers from renowned clubs, he chose to return to AS SR Brașov, who had just been relegated to the second tier. In his two seasons there, he managed to bring them back to top flight. In April 2009, he faced the greatest challenge of his career to date. The football federation of Romania picked him as successor of Victor Pițurcă at the helm of the national team. Lucescu accepted the offer, left AS SR Brașov in 9th place of the standings and put on the national coach’s kit. He remained there for two years. 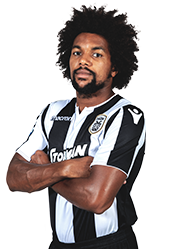 He left in June 2011, after a very important victory over Bosnia and Herzegovina that boosted his team’s chances of qualifying to the UEFA Euro 2012 finals. He felt that the people at the federation had lost their trust in him. It didn’t take him long to find a new job. He returned to FC Rapid București and led them to the UEFA Europa League group stage, but not further than that. The team finished 4th in the league and lost 1-0 to FC Dinamo București in the Romanian Cup final. In May 2012 he signed a two-year deal with Qatari outfit El-Jaish SC. In his first season he won the local cup, led his troops to the AFC Champions League knock-out stage and left in January 2014. Two months later, he was hired by FC Petrolul Ploiești, but his stay there proved short-lived. He left six months later, after a third-place finish and a participation in the Romania Cup semi-finals. 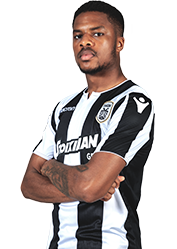 In September 2014, he came to Greece having accepted Xanthi’s offer, despite his father’s advice to the contrary. A year later he was vindicated for his decision. Under his command, Xanthi played attractive football and managed to reach the Greek Cup final for the first time in their history, but missed out on the trophy after their loss to Olympiacos. His team paid for their rocky start to the season and finished 8th in the league. The following season didn’t go as club people wished. Xanthi failed to find their footing on the pitch and even were threatened by relegation in the final stretch of the league, but managed to remain at the top flight. The situation turned around last season. Lucescu put together a team with strong character and they started very strongly in the league. 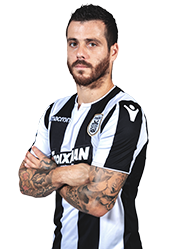 They were eliminated in the Greek Cup by eventual trophy winners PAOK and finished 6th in the standings, four points away from Panionios and a ticket to European competitions. Despite Xanthi’s wish to continue working with him, Lucescu decided to part ways and seek a new challenge in his career. 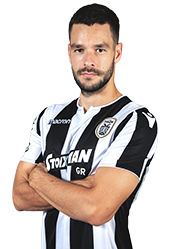 The Romanian tactician took his time before deciding and eventually penned his deal with PAOK, replacing Aleksandar Stanojević.